It’s that time of the week again to link up for #H54F! Wherever you are and whatever your plans are for the weekend, I hope you have a blast! Here are my top five moments from the week. 1. See that gorgeous lady on the right? 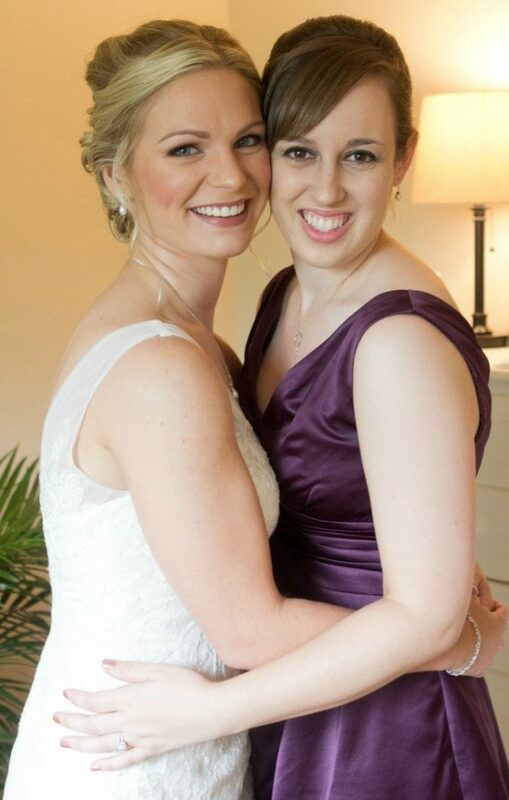 That’s Megan, and her bridal shower is tomorrow! I will be traveling to Cedar Rapids, Iowa, to help celebrate her special day. Ryan and I are both standing up for Megan and her fiance Adam (who also was one of our groomsmen) at their wedding in July. 2. 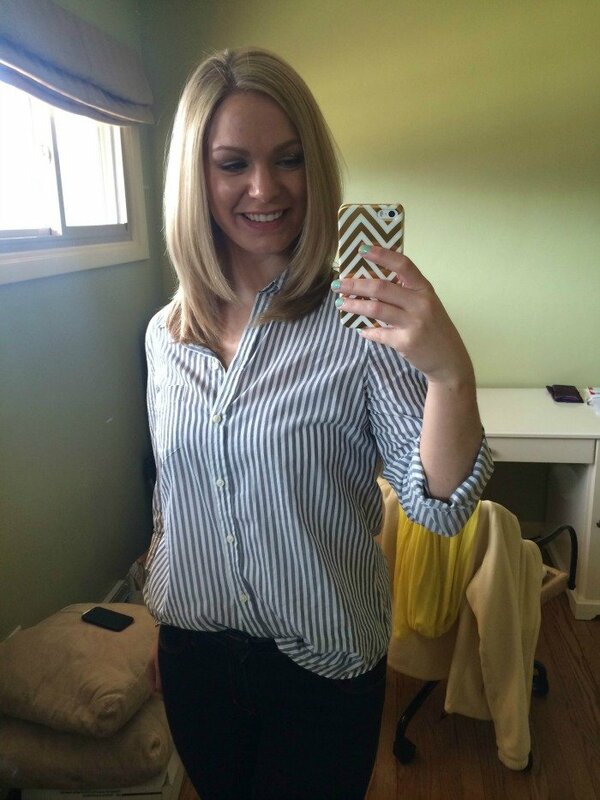 In case you missed the news, I have a fresh head of highlights and a new haircut. And, I’m kinda loving it. 3. 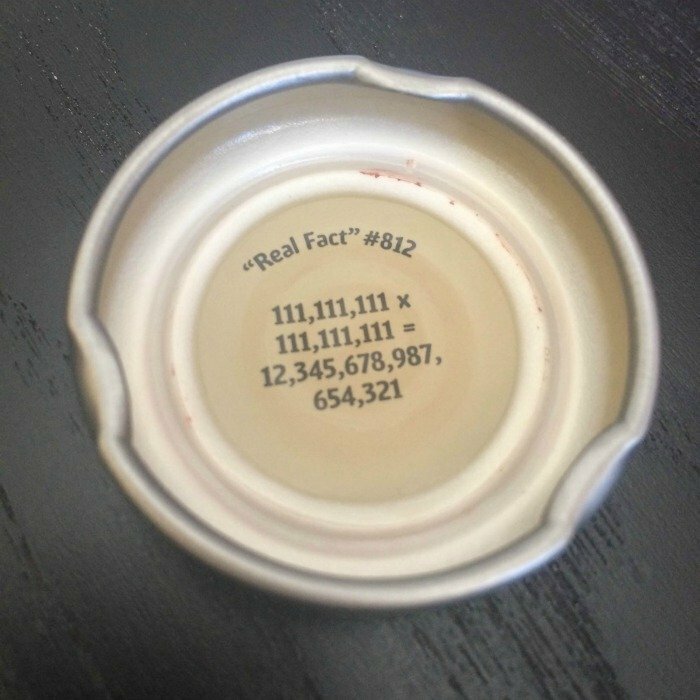 I’m the first to admit that I sometimes drink Snapple solely to read the “Real Facts.” I don’t see anything wrong with educating myself with useless information while enjoying a tasty drink. P.S. Our favorite kind is the Brett Michael’s Tropa-Rocka. 4. I painted my nails for the first time this week since we moved in February. 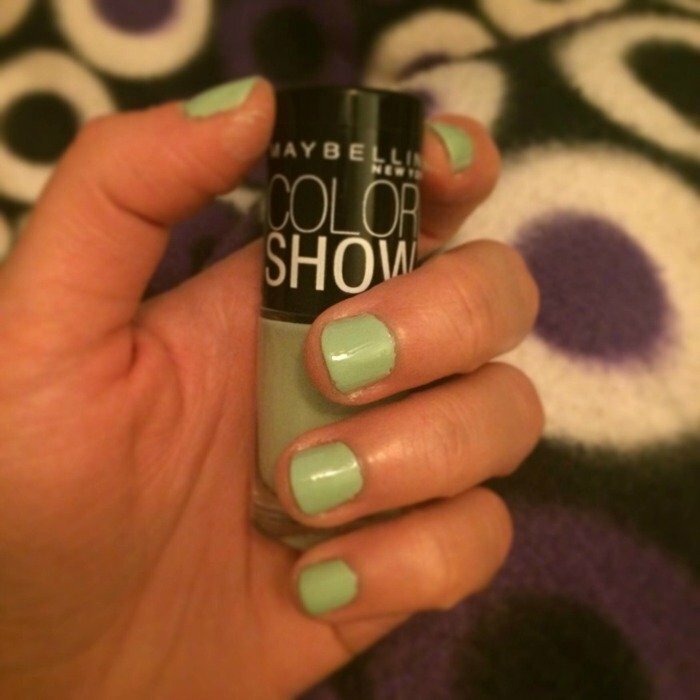 I picked up this polish from Target because I was in love with the color (Green with Envy). However, I wouldn’t recommend this brand of polish to anybody – it was very streaky and hard to get an even coat. Boo to you, Maybelline! 5. Here is the current state of the vintage vanity! We got it stripped down to its original beauty – a two-tone/inlay with natural oak wood and cream paint. 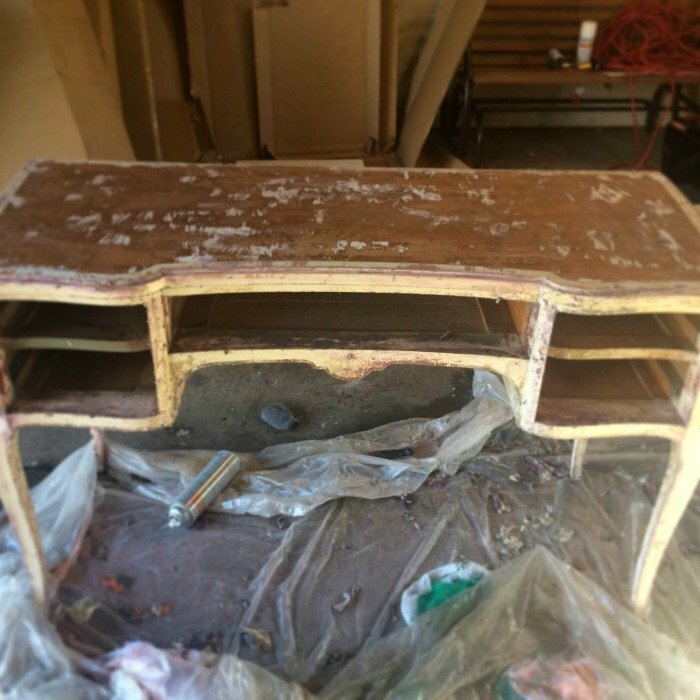 If this table was in its original form when the previous owner bought it, shame on her for covering it up with all that paint! The detail and little surprises we uncovered during this process were so cool – they simply don’t make furniture like that anymore. I can’t wait to share the whole process and finished product with you in a few weeks! stopping by from H54F…now I'm craving a Snapple! =) Have a lovely weekend! That vanity is going to look amazing when you guys are done with it!! Hope you have the best time at the bridal shower!! Happy Friday!